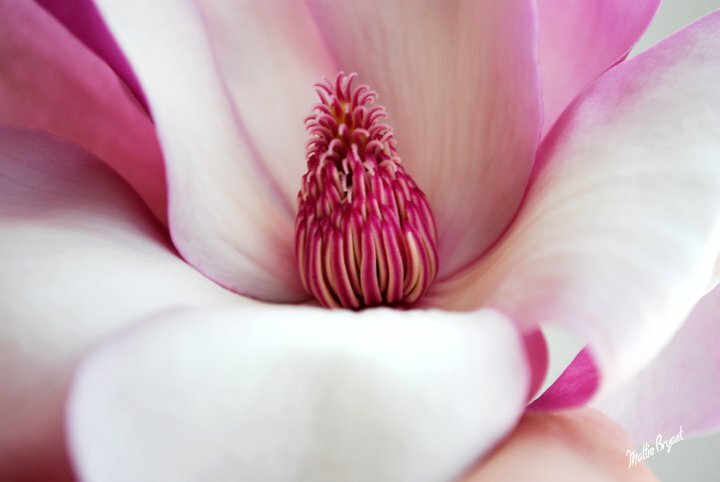 This is a saucer magnolia or tulip tree bloom. It is one of the earliest and most beautiful flowering trees to bloom in the United States. It blooms early in Spring and is one of the first flowers to make a grand appearance. . Personally I have seen colors ranging from white to pale pink to almost purple in color. I remember seeing my first one of these when I lived in California about 17 years ago and thought to myself what a beautiful tree. When I moved to Texas, I only saw a few. Since I now live in Georgia I see them almost everywhere. It’s to bad they don’t stay around longer. Blooms and petals can be seen falling and scattered all around the bottom of this tree even before the official first day of Spring. So enjoy them while you can. “Oh how I love Spring”.